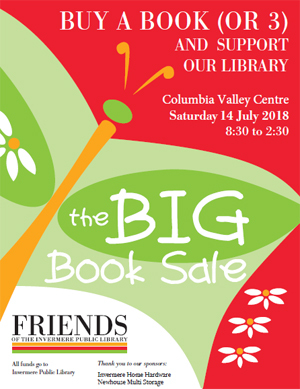 The Friends of the Invermere Public Library are pleased to be holding the 11th Annual Big Book Sale on Saturday, July 14, 2018 at the new Columbia Valley Centre from 8:30 a.m. to 2:30 p.m. Many thanks to all those who have donated thousands of books throughout the year. The Friends have been sorting them into categories including fiction, non-fiction, children’s books, etc. to prepare for the sale. Book donations are being accepted up until Wednesday, July 11th. See details below for where to leave your book donations. The Friends of the Library will be using our new check-out system that we started last year. Upon entering the sale, shoppers will be given tally sheets to record the number of $4, $2, $1 and $.50 books they wish to purchase. The Friends look forward to seeing you at the Big Book Sale on July 14th. All funds raised go to support the Invermere Public Library. BOOK DONATION CENTRE NOW OPEN! 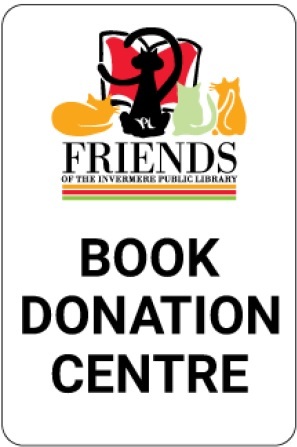 The Friends of Invermere Public Library are now accepting gently used books at the new Book Donation Centre. The building is in the parking lot across the street from the new library, just south of the Invermere Court House (645 4th Street). There is drive up access and a large book donation box by the entrance. If you are not sure about the location, check with library staff. For large numbers of books, please arrange access to the Book Donation Centre with either a member of the Friends or with library staff. The Friends of the Library thank you for supporting our library. Volunteers who value the library as a vital component of our community. 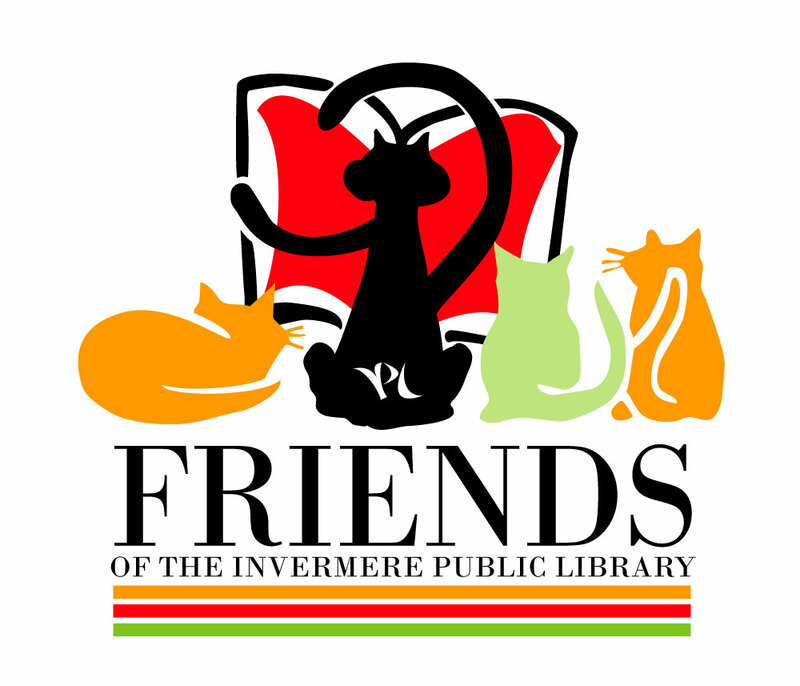 Our mission is to improve facilities and services offered by the Invermere Public Library. There are lots of ways to be a “Friend” – pick the one that works best for you. Please leave your information with the library staff. A Friend of the Library will contact you soon.